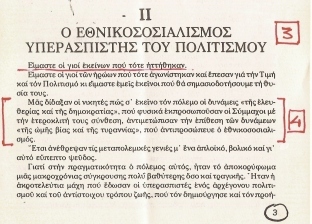 ΑΝΑΔΗΜΟΣΙΕΥΣΗ ΑΠΟ ΤΟ ΙΣΤΟΛΟΓΙΟ, "ΕΛΗΝ ΚΑΙ ΧΑΟΣ"
National Socialism (common short form Nazism, German: Nationalsozialismus) was the ideology practiced by the Nazi Party and Nazi Germany. 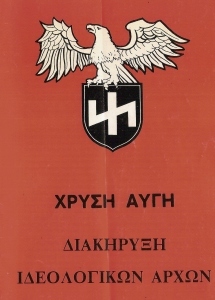 It is a unique variety offascism that incorporates biological racism and antisemitism.Nazism was founded out of elements of the far-right racist völkisch German nationalist movement and the violent anti-communist Freikorps paramilitary culture that fought against the uprisings of communist revolutionaries in post-World War I Germany. The ideology was developed first by Anton Drexler and then Adolf Hitler as a means to draw workers away from communism and into völkisch nationalism. 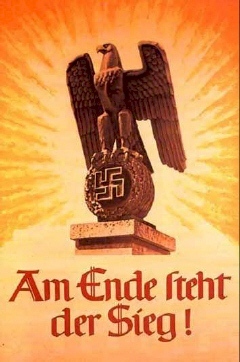 Initially Nazi political strategy focused on anti-big business, anti-bourgeois, and anti-capitalist rhetoric, though such aspects were later downplayed in the 1930s to gain the support from industrial owners for the Nazis; the focus shifting to anti-Semitic and anti-Marxist themes. Αναρτήθηκε από ΕΛΛΗΝ VS CHAOS στις 5:32 μ.μ. 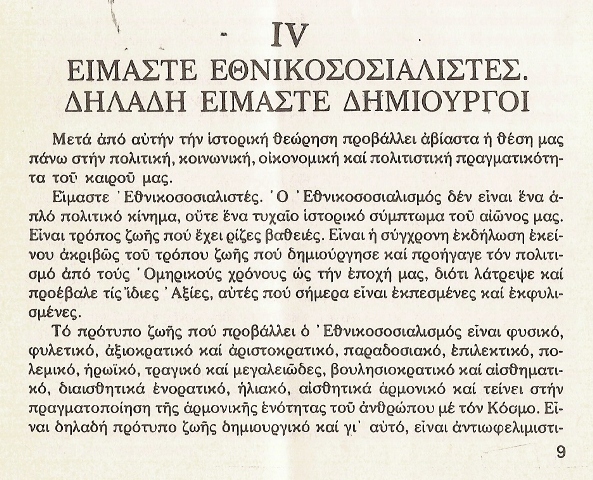 Αναρτήθηκε από captainpontios στις 11:08 π.μ.